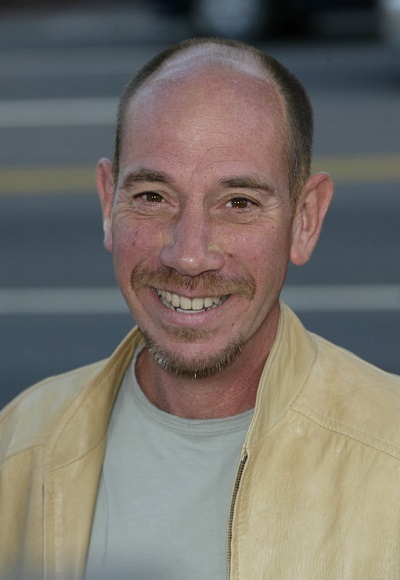 Miguel Ferrer was an American actor. His father was Puerto Rican Academy Award–winner José Ferrer (born José Vicente Ferrer de Otero y Cintrón), who was the first Latino to win an acting Oscar. His mother was singer Rosemary Clooney, who was of half Irish and one quarter German ancestry, with her other quarter being a mix of English, Scottish, and Northern Irish/Scots-Irish. Among his siblings is actor Rafael Ferrer. His great-aunt (grandfather’s sister), Monserrate “Monsita” Ferrer Otero, was a pianist and feminist. His uncle (mother’s brother) is journalist Nick Clooney, and his cousin (mother’s brother’s son) is actor George Clooney. His niece is actress Tessa Ferrer. He was married to Lori Weintraub, until his death. He had two children with his former wife, actress Leilani Sarelle, and a son with his former partner, Kate Dornan. Miguel’s paternal grandfather was Rafael Ferrer y Otero (the son of Gabriel Ferrer y Hernández and Monserrate/Mensenate Otero y Navedo). Rafael was a lawyer and writer, from San Juan, Puerto Rico. Gabriel was a doctor, and advocate of Puerto Rican independence from Spain. He was the son of Andrés Ferrer Rivera, who was from Mallorca, Balearic Islands, Spain, and of Maria Zenon/Venina/Zenoa Hernandez Lanzo, who was from the Canary Islands, Spain. Miguel’s great-grandmother Monserrate was from Vega Baja, Puerto Rico, and was the daughter of Agustín Otero-Martinez and María Francisca De Las Mercedes Navedo-Córdova. Miguel’s paternal grandmother was María Providencia del Carmen Cintrón y Cintrón (the daughter of José Vicente Cintrón y Bardeque and Elvira Cintrón y Cintrón). María Providencia del Carmen was from Yabucoa, Puerto Rico. José was the son of Faustino Cintrón. Elvira was the daughter of Isidoro Cintrón and Laureana Cintrón. Miguel’s maternal grandfather was Joseph Andrew Clooney (the son of Andrew Bartholomew Clooney and Crescentia Koch). Joseph was born in Kentucky. Andrew was the son of Nicholas Clooney and Bridget Byron, who were Irish immigrants. Crescentia was born in Ohio, the daughter of German parents, Joseph A./Henry Koch and Margaret Fehler/Feller/Manns. Miguel’s maternal grandmother was Marie Frances Guilfoyle (the daughter of Michael Joseph Guilfoyle and Martha Adelia/Ada/Delia Farrow). Marie Frances was born in Kentucky. Michael was the son of Cornelius/Con Guilfoyle, from Tipperary, Ireland, and of Roseanna/Rosanna Sweeney, whose parents were Irish, her father from Laois and her mother from Kilkenny. Martha was the daughter of Samuel Tully Farrow and Louella/Ellin Breckenridge Vanden. Just looked at “Crossing Jordan” during the last weeks. He had by far the best role, him alone worth watching the series. beeing the song of ROSEMARY CLOONEY would not make him the cousin of my beloved GEORGE CLOONEY?